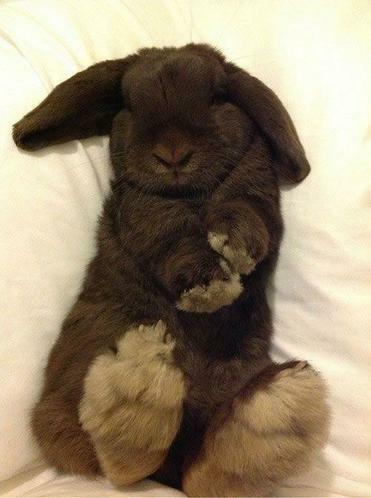 I hope you are resting ready for a busy final term! Maths: Working through papers this week! 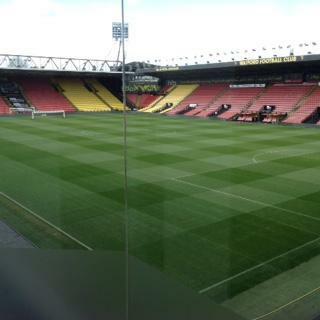 PE: WFC Learning- WILL NOW BE ON A WEDNESDAY: OUTDOOR PE KITS MUST BE IN PLEASE. A CLASS WEB THAT JOINS US ALL. Maths: Arithmetic Monday and Workshop Tuesday! We have come to the last week of term 2- how did that happen? Lucy G, what a great friend! On Wednesday afternoon we will be celebrating different cultures, with a performance of a play in the hall presented by parents and children from our Muslim families. Please send in any Sponsored Read forms and money. Spanish Breakfast is 8.00-8.30am on Thursday. Heritage Boxes and Easter Art due in next week. Congratulations to John, who knew all about First Aid! DRAMA: Planning our backdrops for Mrs White. 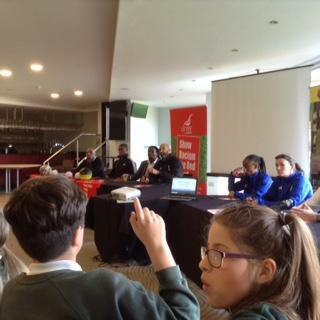 Eagle Class demonstrated their developing maturity when attending the 'Show Racism the Red Card' Event at WFC on Thursday. 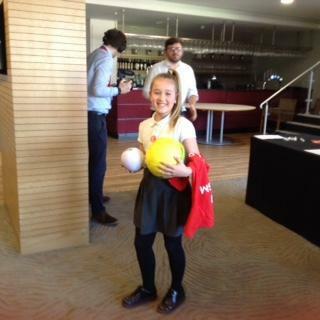 Well done Lucy for winning a signed football for asking a thought provoking question. Tom, someone who is always active and enjoys any sport! Parents' Evenings are this week. I look forward to seeing you then. 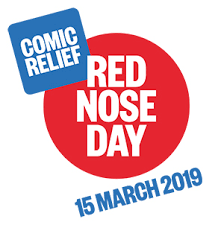 £1 to wear something red on Friday, donations to Comic Relief. Tickets now on Sale for Easter Raffle. £1 per strip- Thank you. Congratulations to Holli, someone who makes positive,healthy choices. I hope you have all had a good half term and enjoyed the beautiful sunshine we have had the past few days! Maths: Arithmetic Monday- Division and Revision! PE KITS and WATER BOTTLES in school please. Group 2 for World of Work - we still need one more volunteer! IF YOU GET THE CHANCE TAKE A PHOTO OF YOURSELF READING A BOOK, THE MORE UNUSUAL PLACE THE BETTER! 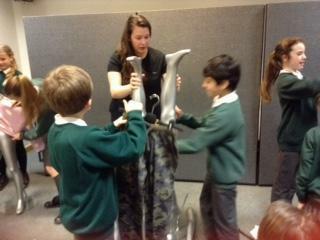 World of Work at John Lewis today! Good luck to the girls in the football tournament on Tuesday. Half term 18th - 22nd February! WOW! That's halfway already year 6! Well Done to Bethany- someone always willing to help others. A great end to our Positive Mental Health Afternoon! A person with such a positive attitude. Amelia, well done! I hope your 'Snow Day' was safe and filled with fun! Hot Choc awarded to Zoe this week! Star of the Week - Well done Liv! PE: Yoga- Thank you Mrs R! PE KITS must be in school. If you take part in lunchtime activities, please have a spare set of suitable outdoor clothes and a plastic bag in which to keep them. WORLD OF WORK : DETAILS WILL FOLLOW VIA EMAIL ON MONDAY. FANTASTIC ASSEMBLY EAGLES! WELL DONE! I HOPE YOU ARE ALL VERY PROUD! OUR CLASS ASSEMBLY IS ON FRIDAY, WE HOPE YOU CAN MAKE IT! Happy New Year and Welcome back to you all. Please join me in welcoming Mrs Chandoo to Eagle Class. Please remember your PE kits and water bottles. Make sure you have a pen and pencil in school. Be prepared for your learning everyday! A huge thank you from Mrs D and myself. Thank you all for your generosity. Have a great break and a happy new year! What a fantastic first term we have had! Monday- writing up The Highwayman stories and thinking ahead towards goals for next term! 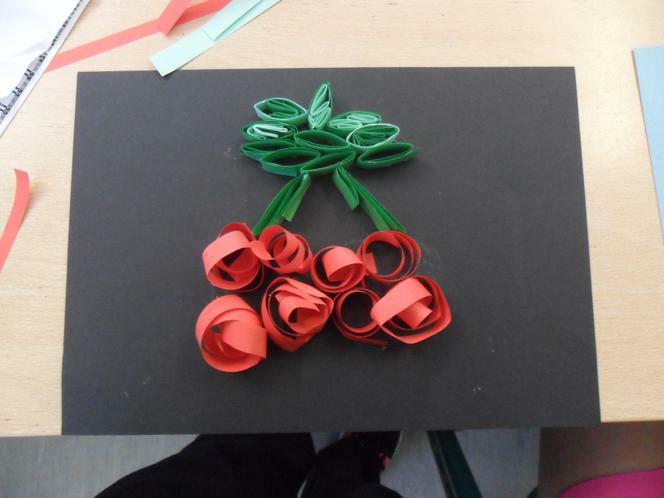 Tuesday- we will be finishing our Christmas art activities. 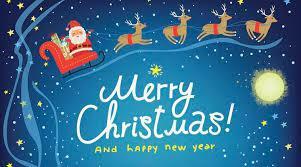 Wednesday - SANTA BREAKFAST,CHRISTMAS MOVIE, CHRISTMAS JUMPER, CHRISTMAS LUNCH! WOW! Thursday- CLASS BREAKFAST - a treat from Mrs D and myself! CHILDREN MAY ALSO BRING IN GAMES. PANTOMIME in the afternoon!We say good bye to Mrs Michaels and Mrs Forty. RICHARD HARRINGTON VISITED ON FRIDAY. HE WAS IMPRESSED BY THE QUESTIONS THE CHILDREN ASKED. Young Minds on Friday- final session. We have a visit from Richard Harrington on Friday morning. We will spend some time this week preparing questions we would like to ask him. DON'T FORGET YOUR PERMISSION SLIPS FOR WALKING TO THE CHURCH- THANK YOU. THANK YOU! So proud of year 2,Falcon and Eagle Class, their team effort raised over £330! Thank you for your support. Theo, someone who is always fair and a good friend to all! 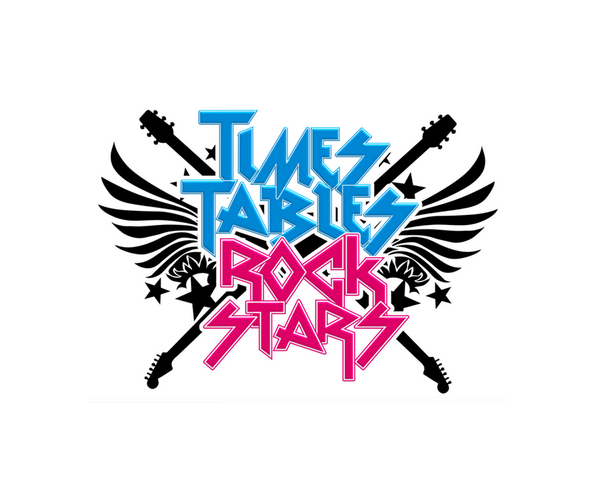 TT ROCK STARS! Play 10 times in order to set your baseline! History: Local area and WW1. Please bring in a carrier bag to collect your exercise books from last year. By 30th November please. OUR STAR IS RHEA. WELL DONE! I hope you have all had a safe and happy half-term! We return to school with a very busy schedule. We are off to the Town Hall on Thursday morning and The Mayor is back to hold an assembly and view our Garden of Remembrance on Friday. The following week we have a visit from a local heritage expert: to talk to us about Watford's History linked to WW1. We are planning a walk to a local memorial, more information will follow later this week. Please wear your coat to school, it is getting colder. P.E. Kits back in school please. 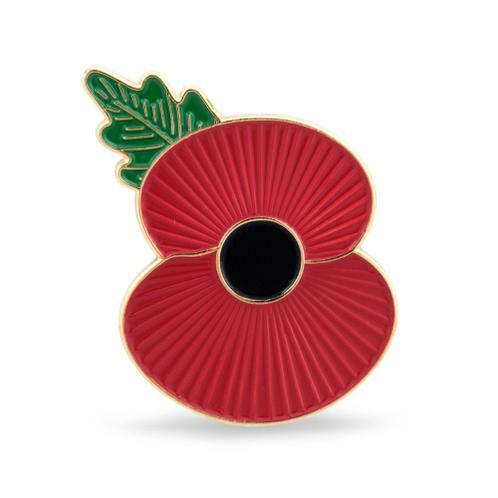 Poppies remain on sale this week. English: Work linked to Nick Butterworth's book The Whisperer- turning prose into play script. Well done Ria! Someone who always makes a positive choice. Wednesday and Thursday: Parents' Evenings- I look forward to seeing you there. We have reached the end of our first half- term. 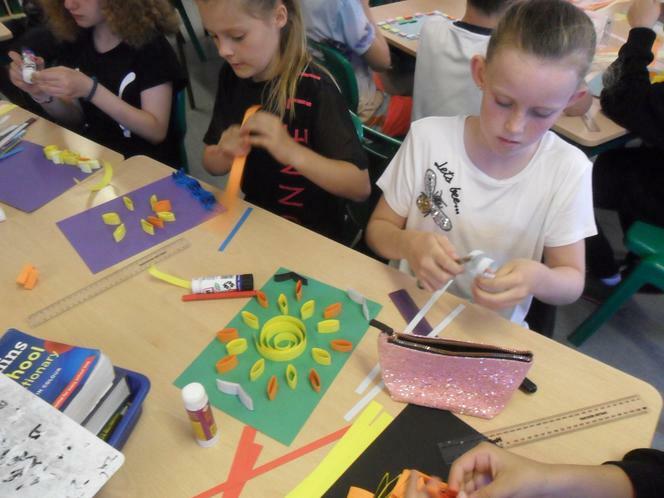 The children have worked incredibly hard and have become valuable members of the whole-school community; supporting younger members of Bromet in their learning and participation in different areas of the curriculum. A well- earned and relaxing break is thoroughly deserved! THIS WEEK'S STAR IS JACK! Fantastic examples of teamwork and effort at the hockey today- Proud of you all! 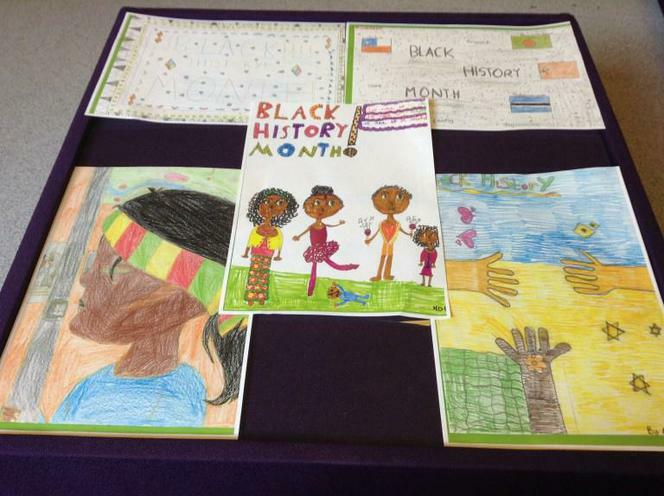 Some fabulous poetry linked to Black History! DON'T forget: Maths games morning until 9.30am on Wednesday. We would love to challenge you to a game of Countdown! Wednesday 6.30 pm Erasmus information meeting. PLEASE REMEMBER PE KITS FOR THURSDAY- THEY NEED TO GO HOME ON WEDNESDAY. LET ME KNOW IF YOU ARE AVAILABLE TO COME WITH US, YOUR SUPPORT IS ALWAYS APPRECIATED. LILIA IS THIS WEEK'S STAR! Well done to Hannah- such a positive role model! TUCK SHOP UPDATE: It's going well, the children are taking orders, collating information and providing me with a list of items needed. On the Friday, they are preparing the food, organising the sale and working out our turnover and profit. I have seen some great teamwork and effort from all involved so far. Well done! English: Reports continued. We will be continuing to look at use of vocabulary for effect and putting our ideas into sentences that contain adverbials and use subordinate clauses. 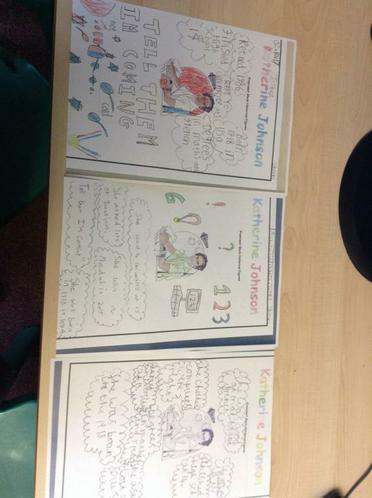 On Friday we will be completing further work on our autobiographies. Emmanuel and Thanisshka are this week's stars. 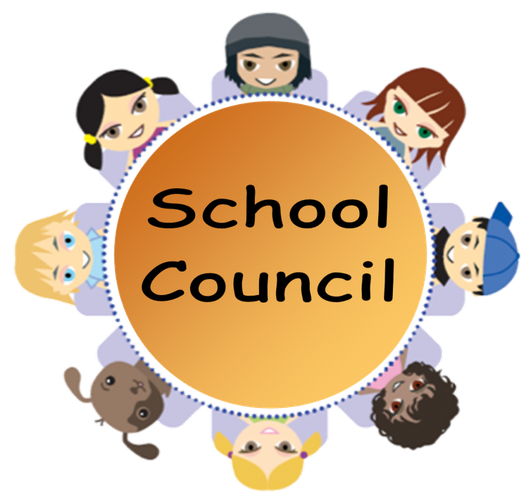 They are already helping to make the school community a better place in their roles as School Council Representatives for this year. Don't forget to bring in your news story to share and donations for The Red Trust for our Harvest on Friday. Thank you! Attached is the year 3-4 spelling list. Your children will be learning these spellings and spelling rules in class. Our aim is for the children to know the spelling, including prefix and suffix addition. Therefore your support in practising these words at home with your children is greatly appreciated. Thank you if you were able to come to our Meet the Teacher presentation. Please let me know if you are able to accompany us on our trip to The Houses of Parliament on 5th November. Tuck Shop will be rolled out to 2 classes this week. We made a good start with a profit of £9. I would like to mention how proud I am of all of year 6 who have already shown their developing maturity, whilst helping our youngest children, who are just beginning their learning journeys at Bromet. 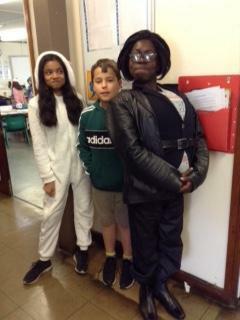 There have been some exceptional role models amongst the year 6 children. Staff have paid great compliments regarding their support. Well done to them all! Congratulations to Joe- Who has o ne of the most positive attitudes to learning I know! Zoe your help at lunchtime has been fantastic. Hot Chocolate well and truly deserved! We had a great start to year 6 and used the time to build our class team , share our expectations and discuss our roles and responsibilities for the year. 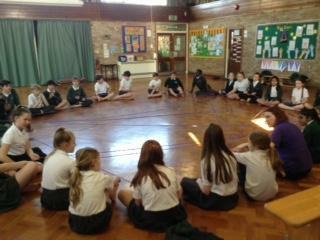 On Friday we talked in depth about sharing our feelings, positive mental health and being resilient. 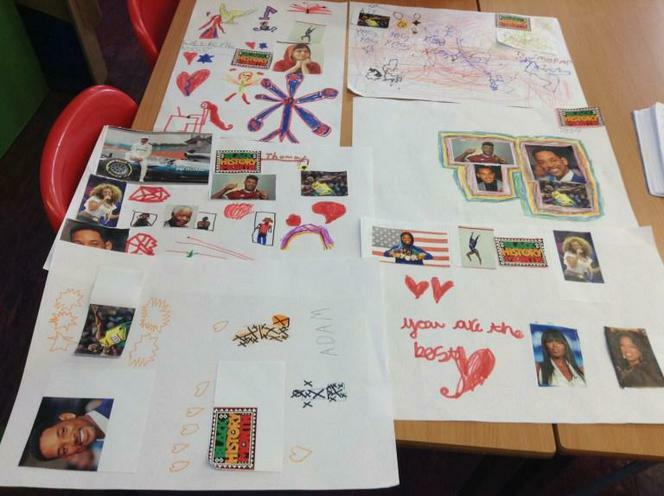 I can already see how the children are maturing as they took part in our shared discussions. Home learning will begin again this week. Topic: Why does change happen? 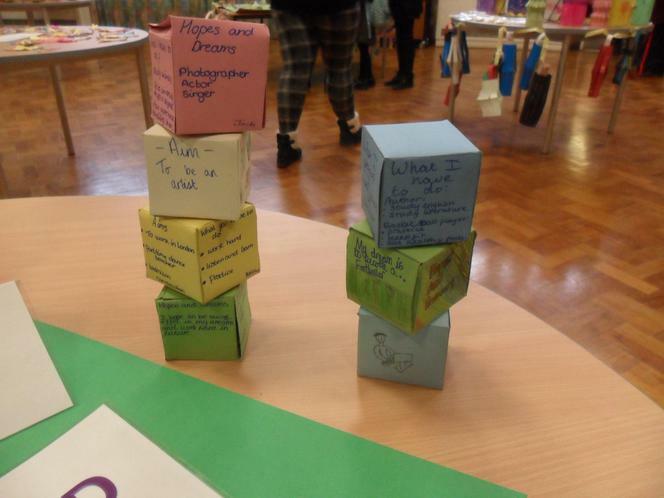 The question that will introduce the skill of map reading, how the human and physical nature of our local area has changed and some aspects of social and industrial history and their link to Watford. Our School Council Representatives for this year will be Thanisshka and Emmanuel. Everyone that applied for the role and shared their application with the rest of the class should feel incredibly proud of themselves. Well done! I hope you are able to come to our 'Meet the Teacher', Monday 10th, it will begin at 3.30pm in Eagle Class! I hope you have all had a wonderful summer and are looking forward to your final year at Bromet. During the first three days back we will be spending time developing our sense of community and teamwork. We will work in collaboration to create our rules and discuss our responsibilities as Bromet and Global Citizens. Wednesday: Ourselves, we will complete profiles about ourselves, our aims and what helps us to learn. As part of our protective behaviours we will consider our network of friends and adults that support us and share what makes us feel safe. Thursday: Class rules, expectations, roles in the class and school community, the importance of teamwork and the meaning of being a Global Citizen. Philosophy for children (P4C) will focus on kindness. Friday: Positive Mental Health. What does this mean and the importance of talking and sharing our feelings. Art will be linked to this. No home Learning this week due to Consortium Tests. 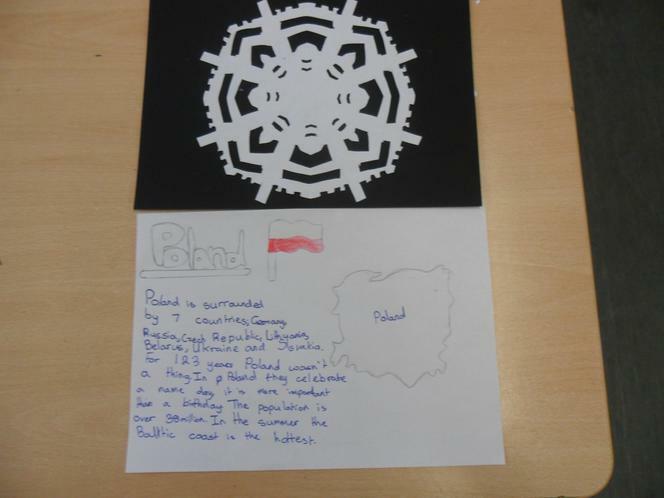 Watford Projects due, they will be needed later this half term for your geography topic. As we enter our final week. Well done to Daisy, Henry and Millie for their end of year awards. These will be presented at the assembly on Friday. Well done to all of year 6 for their great SATs results. This week the children will be taking part in their cycling training (for those who have enrolled). We will be preparing for our end of year assembly on Friday at 9am. Also on Friday we will be having a BBQ lunch so no need for packed lunches or dinners. This term finishes at 1.30pm on Friday. I would like to take this opportunity to say that it has been a pleasure to teach everyone of you this year. Seeing you grow in confidence and maturity. I wish you all every success as you move onto your new venture in secondary school. Follow your dreams and believe in yourselves. 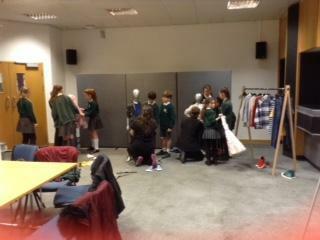 A huge well done to all year 6 for their enthusiasm, sales techniques and team work for their Enterprise Day on Friday. 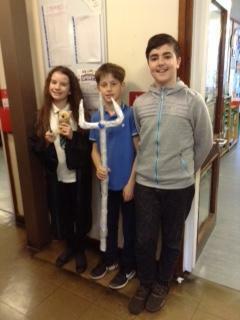 They should all be proud of themselves as they made a great profit of £375. 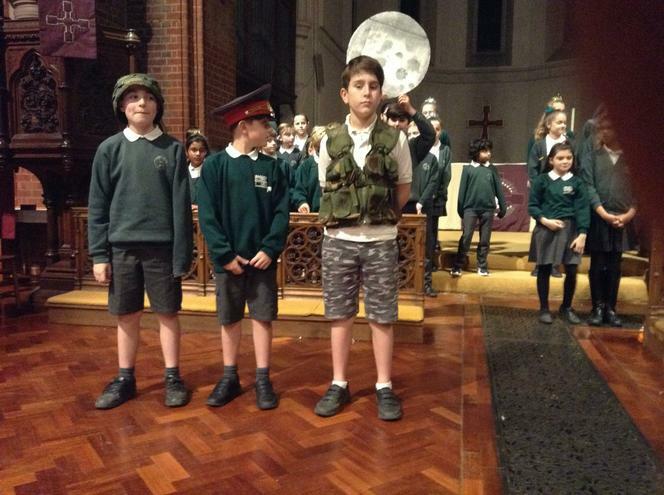 This week is another busy week as they perform their end of year productions to both Key Stages, visiting schools and head teachers, and parents. The performances to parents are Tuesday 2pm and a change of time to 5pm on the Wednesday evening to avoid clashing with the England, World Cup game. Please make sure that you have completed the slip to request tickets. On Thursday the majority of the children will be visiting their secondary schools. Please make sure that you have checked any correspondence from the school, ensuring you have the correct equipment for the day and that you wear your full Bromet uniform. This then takes us to our final week. Those who will be taking part in Cycling Proficiency please check that your bike is in full working order and that you have a helmet. There will be a Leavers assembly at 9am on the Friday were all parents are invited to attend. The school year will end at 1.30pm. What a great week we had away at PGL, many conquering fears and phobias along the way. 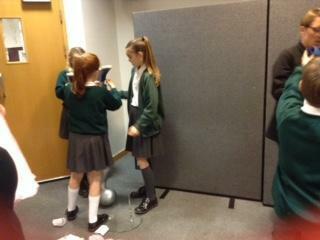 Well done to you all for demonstrating team work and for supporting others when they weren't too sure. 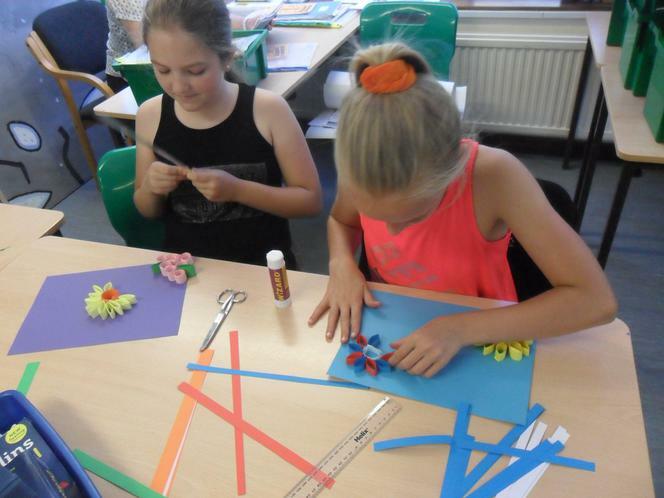 This week we will be busy making the final preparations for our Puppet shows next week and also our Enterprise event on Friday this week, 6th July. Please make sure that you apply sun cream before school, that you have a hat and a water bottle in school at all times. Hope you are all enjoying this warm weather. Don't forget to pack sun cream, a hat and a reusable water bottle for PGL. Also remember you will need a pack lunch for the day of travel. 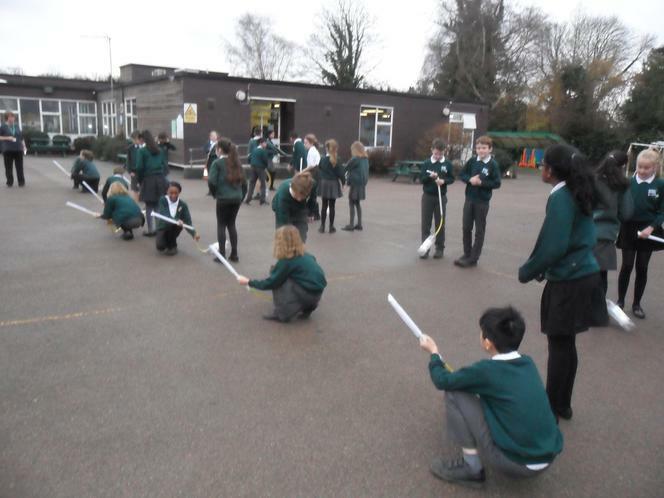 We all had a great Science week, making rainbows, slime, branching keys with liquorice allsorts, building rockets with Woodpecker class, went on a bug hunt and measured the height of trees. Well done to Claudia for being pupil of the week and Drew having hot chocolate. 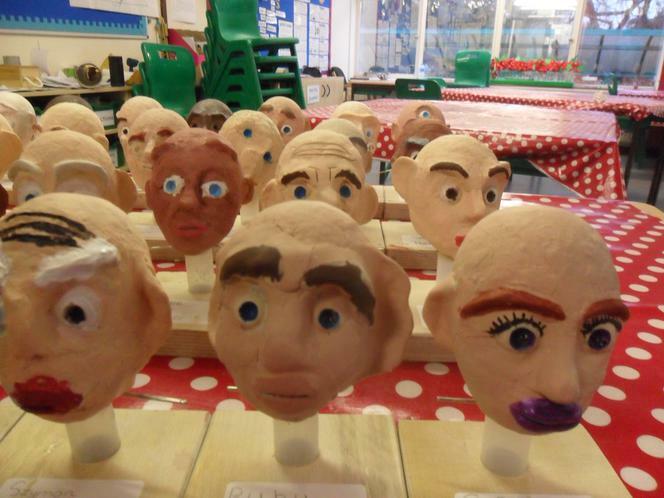 This week we will be busy working on the end of year puppet production and preparing for out Enterprise Day. 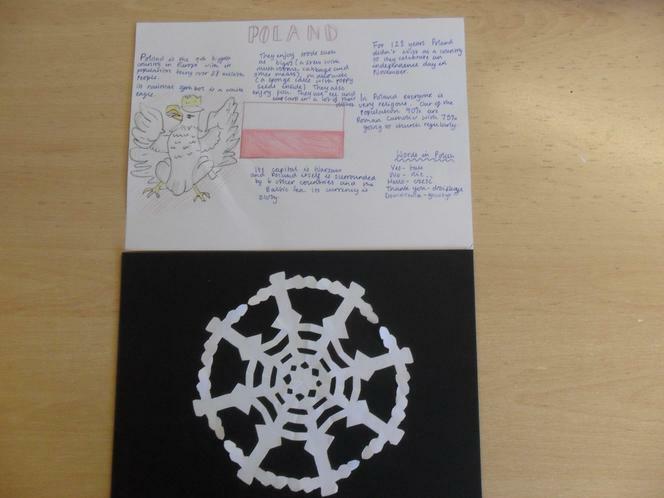 On Monday it is our World Cup Day and we will be finding out about life in Poland. Then in the afternoon it is our Sports Day. Friday is our sponsored Fun Run. For both these days the children are to arrive at school in their PE kits. Please make sure that they also have a water bottle and a sun hat. All parents, relatives and friends are welcome to both these events. Could you please ensure that all PGL forms are returned by Tuesday at the latest. Remember to bring in wrapped sweets and snacks to share during the week away. Monday morning all year 6 will be visiting the Science department at the Watford Girls Grammar, please make sure that you have returned your permission slips to the office or alternatively you can complete the consent request on Arbor. Eagle class will also be working with Woodpecker class and completing other experiments and investigations throughout the week. 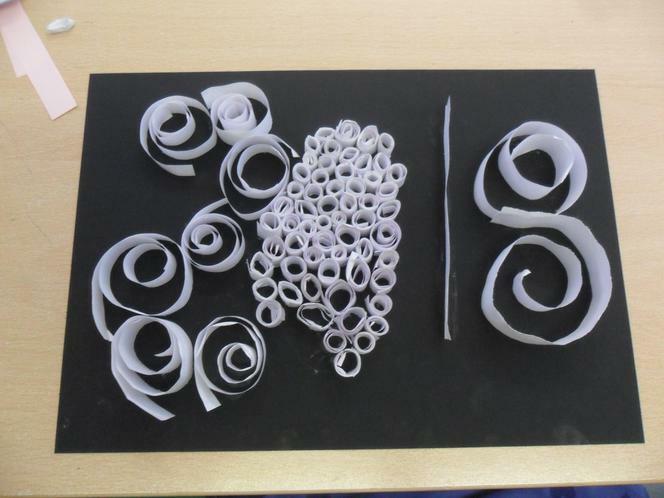 Come and see the display of work in the hall on Friday afternoon. Welcome back for the last half term. Remember to come to school in your PE kit ready for the Kwik Cricket competition. Also remember to bring your packed lunch and water bottle. Lots of activities will be happening this half term so please make sure you check the diary dates. 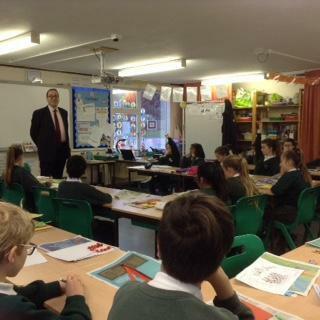 This week we will be meeting Richard Harrington MP when the children will be able to ask the question we did not have time for on our visit to the Houses of Parliament. Wednesday 6 June - Parent meeting at 3.30pm in Eagle Class for PGL trip. 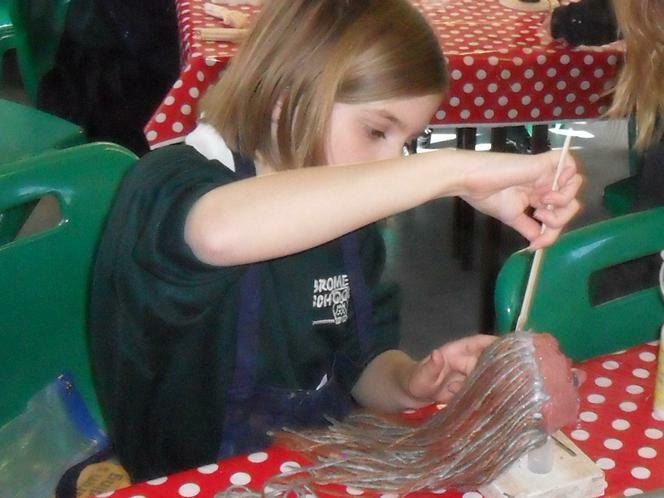 Week commencing 11 June - Science Week. 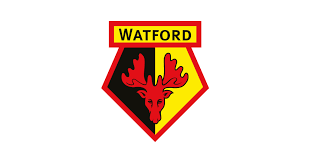 Monday 11 June - Year 6 visit to Watford Grammar School for Girls. Monday 18 June - Sports Day afternoon. Friday 22 June - Whole school Fun Run. Week commencing 25 June - PGL trip. 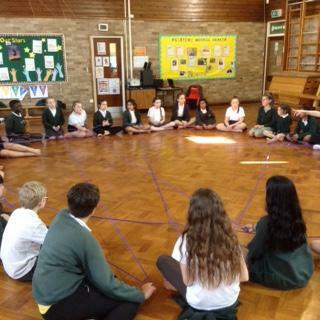 Thursday 5 July - All year 6 will take part in a Secondary Transition workshop run by Mrs Bastable. Friday 6 July - Year 6 Enterprise Day 2.30pm to 3.45pm. Thursday 12 July - Secondary Transition Day. Week commencing 16 July - Cycling Proficiency. Friday 20 July - Leavers Assembly 9.00am. BBQ lunch for all year 6 at 12noon. End of term at 1.30pm. Well done to all year 6 for completing their SATs test, you all tried your hardest and you should be extremely proud of yourselves. This week begins with our visit to the Houses of Parliament. All children should bring a packed lunch and arrive at school at normal time. We will leave at approximately 9.10am and be back at school for normal end of school time. The children do not need any money for this trip and should not bring mobile phones or cameras. Over the coming weeks, before the Secondary Transition day, the secondary school teachers will be visiting school to speak to the children. Therefore please make sure that your child is in school each day. Daisy for pupil of the week for always including others when working with a group, and Esme always making the right choices and having hot chocolate with Mrs Pace. This week we will be completing the SATs and revising for the papers. Enjoy the weekend, you have all worked extremely hard. So, make sure you do something really fun on Sunday and then you will be relaxed and ready to go on Monday. Please keep myself and the school informed of any changes in secondary school allocations. 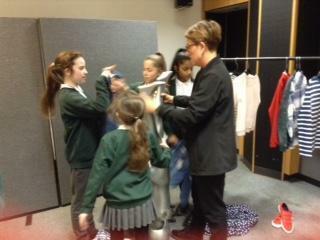 The secondary schools are now booking their appointments to meet the children. We also need to keep our records up do date in order for their files to go to the correct secondary school. SATs breakfast club running for these four mornings. Dress Smart for the Royal Wedding Day, were smart party clothes (and sensible shoes). Please remember no jeans or football kits, there is a prize for the best dressed. Cycling Proficiency for those children who have registered. End of term BBQ lunch for all year 6, this day they will not be having school dinners. End of Term 20 July finish at 1.30pm. Well done to Jodi, start of the week, for helping others and always being a good friend. This week we will be writing our discussion texts, linking them to the work of UNICEF and the rights of the child. We will also be completing revision for the SATs reading and grammar papers. In maths we will be revising topics chosen by the children that they feel they would like to refresh. Please keep going through your revision guides as well. Thank you to all those parents who expressed an interest in helping on the trip to the Houses of Parliament. I am sorry that it is not possible to take everyone, but I appreciate your support. Please keep myself and the school informed of any changes in secondary school allocations. The secondary schools are now booking their appointments to meet the children. We also need to keep the records up do date in order for their files to go to the correct secondary school. SATs - 14-17 May. There will be a SATs breakfast club running for these four mornings, please complete the form and payment on ParentPay if you wish your child to join in. 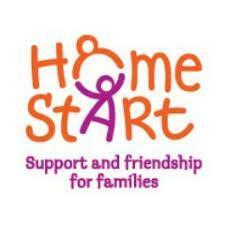 It will be a relaxing time, were the children can sit, chat and have breakfast together. Friday 18 May - Dress Smart for the Royal Wedding Day. Please remember no jeans or football kits, there is a prize for the best dressed. Monday - Friday 25 June - 29 June PGL trip. Monday 16 July - Cycling Proficiency for those children who have registered. Friday 20 July - End of term BBQ lunch for all year 6, this day they will not be having school dinners. Well done to Keisha, star of the week, for always being kind, helpful and friendly. Also, to Kyra, always smiling, who was chosen to have ‘Hot Chocolate’ with Mrs Pace. This week we will be continuing to revise areas of mathematics for the SATs test which begin on 14 May. We will be completing a practise in the hall so that all the children will be familiar with the surroundings and layout for the tests themselves. During that week we will be running a breakfast club for all the year 6 children, were they will be able to have breakfast, chat and play games before school. A letter will be sent out in the next few days. Please make sure that you child is in school the week of SATs, Monday 14 May to Friday 18 May. If the Secondary School allocation changes for your child, please make sure that the office and myself are informed of the changes. This ensures that when the Secondary teachers attend they speak to the respective children and their records are passed to the correct school. Keep reading your revision guides. A new one is watch the Youtube explanation clips from Grammarsaurus using SATs questions. This week we will be continuing our work on discussions and focusing on how the use of modal verbs can influence someone opinion. In maths we will be revising the use of calculation strategies and how to find the mean or given data. Mathletics home work has been set, this is a great revision tool. On Friday there is a non-uniform day. The children are encouraged to dress wearing something which has an animal on or animal print, all the donations of a pound will be sent to the WWF. PGL year 6 trip to Bawdsey is rapidly approaching. Please be aware of instalment due dates as detailed in the initial trip information letter. 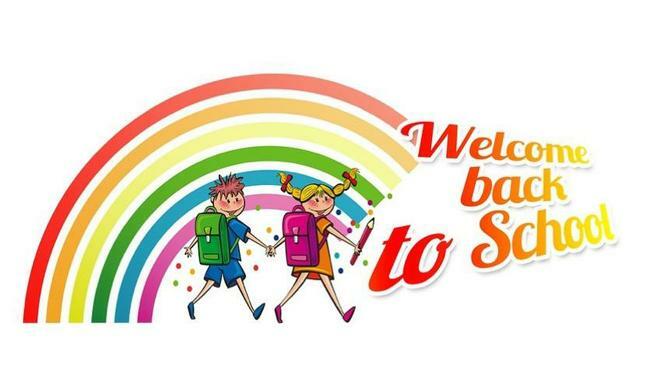 Welcome back, we hope you had a good break and are ready for your next sequence of learning. 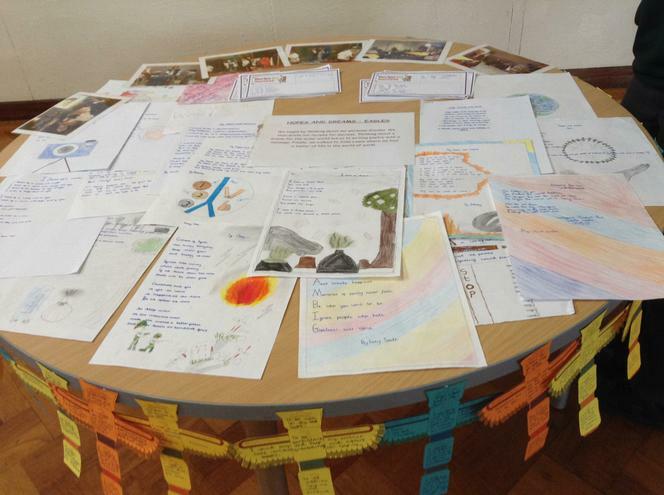 This week on Thursday 19th we will be taking part in a workshop in connection with 'Earth Day'. On Friday 20th it is our celebration assembly at 9am, of which the parents of those children receiving an award may attend. Well done to Jaimy, Joscelin and Nicole for receiving the awards for the spring term. In English this week we will be going through out SATs homework pack and then beginning our new topic of discussions, focusing on the work of UNICEF and local issues in preparation for our visit to the Houses of Parliament. In Maths again we will be going through the SATs homework pack and then revising the concepts of 2-D shapes, Roman numerals and time, including analogue, digital and timetables. 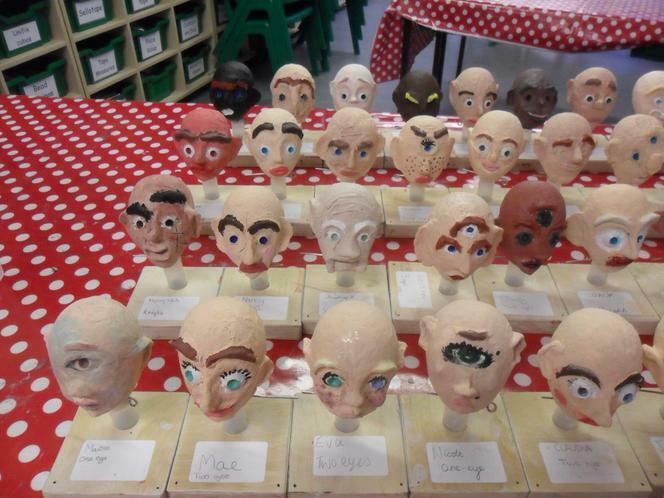 On Wednesdays the children will be continuing with their puppet making, they are looking great. Please make sure that you check the school website for up-to-date information and the class page as I will informing you of all the dates for this term. Well done to Nancy - star of the week for her calm approach to her work and asking for help when required. Hot Chocolate this week was share by Eva. This week, last week of term, we will be completing our narrative writing in English, focusing on vocabulary for effect, sentence structures and punctuation for speech. In Maths our learning is about how we interpret information from pie charts and graphs. Make sure your Easter posters are handed in on Monday 26th ready for judging before the Easter Bonnet Parade assembly on Wednesday. 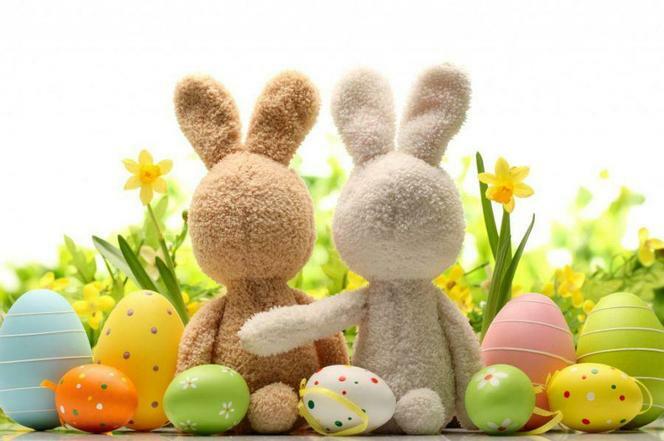 Raffle tickets are still available for the class Easter raffle, winners will be drawn during the assembly on Wednesday, £1 per strip. During the half term holiday the children will have a pack of SATs papers to complete for their homework, we will go through them when we return on Monday 16 April. Monday 26th - 7pm - Mrs Merali will be holding a parenting workshop. Let the office know if you wish to attend. Thursday 29th - End of term, school finishes at 1.30pm. Well done to star of the week, Alex, for taking part in school sporting activities, helping him to keep fit and making healthy choices. This week in English we will be continuing our work on identifying features of fiction writing and will begin to plan our own action stories. In Maths we will be finding the volume of cuboids and compound shapes and also converting measurements including imperial to metric. On Monday we had a visitor from the English department from Queen's, Mrs Muller. 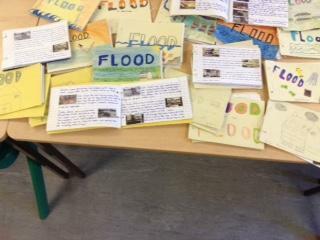 She was very impressed with the work of the children and how they spoke. 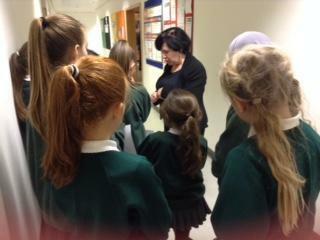 Previous to this we have had other members of Queen's staff, from the Maths and Science departments, visit our lessons. Well done to Safah, star of the week, for making healthy choices and drinking her milk. This week in English we will be continuing to study a variety of fiction genres, focusing on character descriptions, creating flashbacks, and improving sentence structures. In Maths we will be finishing ration by solving problems and using scaling, then we will move onto calculating and comparing volumes. 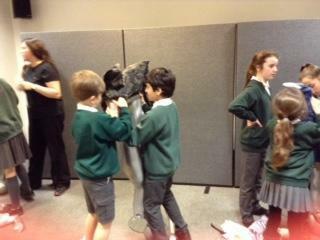 Our puppet characters are really becoming individuals, all looking great. Well done to Eva, pupil of the week, for making a healthy choice - dressing up as Handa from Handa's Surprise for World Book Day. I am aware that Secondary school allocations were on Thursday and a reminder to all that if you are not happy with the allocation you should contact County, not the school, and notify them of your concerns and if you wish to be placed on a continued interest list for a particular school. Please keep myself and the school informed of any changes to your child's school allocation, both to keep our records straight and pass on information about your child to the correct school. This week in Maths we will be focusing on ratio, creating bar models to demonstrate our working and recording. For English we will be looking at a variety of fiction genre and identifying their features. Wednesday 7 March - Hand in Hand workshop in the school hall, make sure you have booked your place. 14 &15 March (Wednesday and Thursday) - Parents evenings. Thursday 15 March - Final Day for accepting secondary school places. Well done to Inaaya, pupil of the week, for continually working hard in all lessons. Also to Daisy having hot chocolate with Mrs Pace for always making the right choices. We had a very busy week completing SATs papers in preparation for our tests in May. 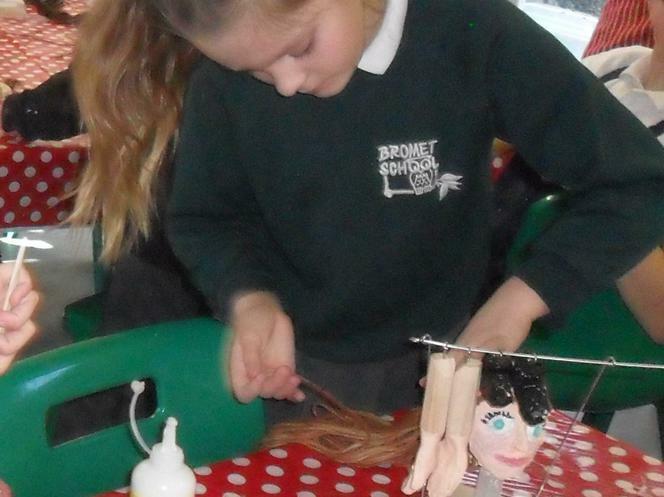 On Wednesday afternoon our puppets began to have a character. 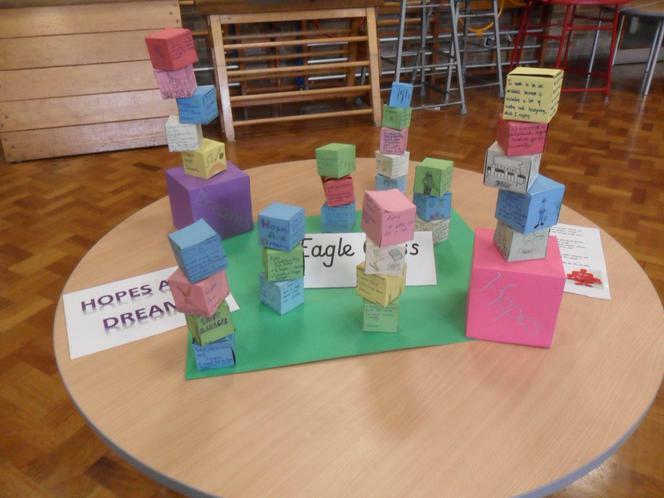 On Friday we displayed our 'Garden of Dreams' our hopes and dreams for the future. This was quite challenging to construct, including making the net of a cube, constructing the cube, then making sure that the writing was the correct way up. 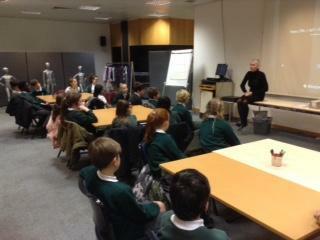 This week we are fortunate to have a visiting author in school, Mr Stewart Henderson. We will be working with Mr Henderson on Monday morning during our English lesson. There will be an opportunity after school to purchase copies of Mr Henderson's books (£6.99) and have copies signed after school. 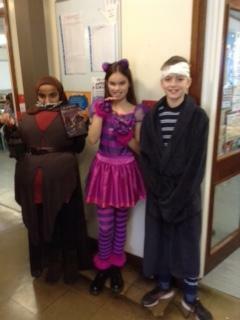 On Thursday it is World Book Day, everyone is encouraged to dress up as their favourite book character. There will be a prize for the best dressed pupil from each class. 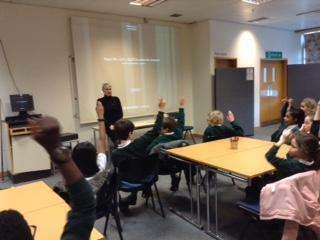 In English we will be writing poetry following our workshop with the author. In maths we will be focusing on plotting shapes in all four quadrants, translating and reflecting them in the x and y axis. Don't forget to hand in your slip if you wish to take part in the Cycling Proficency training at the end of the year. Thursday 1 March - Secondary allocation. Remember you can be placed on the continued interest list if you are not happy with your allocation. Wednesday 7 March - Hand in Hand workshop in the hall beginning at 2pm, please book your place. These take place on Wednesday 14 and Thursday 15 March. Sign up will be online using Arbor and will be available from 5 March. I hope you have all enjoyed the half term. This week we will be completing a set of SATs papers. In maths we will be focusing on angles and their relationship with triangles, circles and straight lines. We will then move on to looking at coordinates and plotting shapes onto a grid. In English we will be moving on to writing fiction stories. We will begin by looking at a variety of extracts from different authors focusing on use of vocabulary to create a vivid image of the events and characters. Monday 19 February - PTFA - AGM 7.30-8.30pm. Friday 23 February - Visit the hall to see our 'Garden of Dreams'. 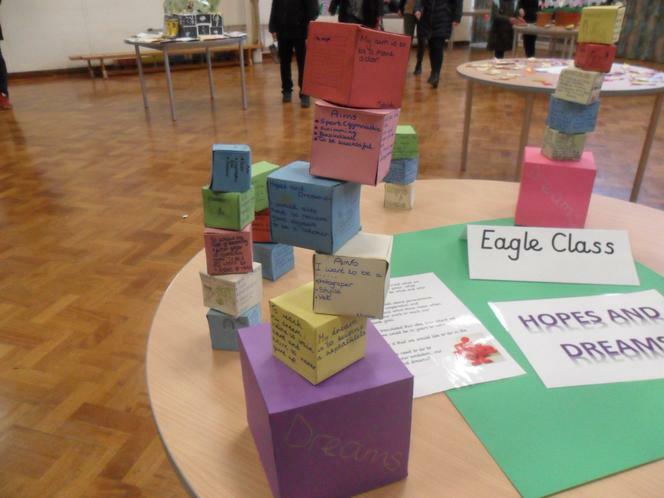 Displays from the children linked to Jigsaw open to parents/carers from 2:45pm. Thursday 1 March - Secondary school allocation day. Wednesday 7 March - Hand in Hand workshop in the school hall from 2pm. Thursday 15 March - Final Day -Make sure you have accepted your secondary school. Star of the week went to Hana for always carrying out tasks and competing her work with a positive attitude. Hot Chocolate with Mrs Pace was enjoyed by Claudia. 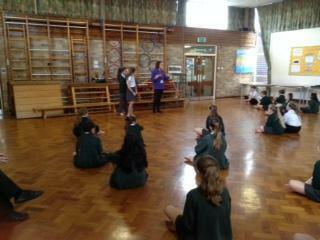 On Wednesday the NSPCC delivered and assembly about who the children can take to if the have a worry or concern. We had a discussion in class to confirm that the children understood who was a responsible person to go to is. We also discussed stranger danger and the legal age limits for accounts such as Whatsapp, Facebook and Instagram. This is all linked to E-Safety which is this coming week. On Friday we all dressed wearing a number and completed tasks related to numbers. As a school we raised £230 for NSPCC. Thank you to everyone. In Maths we will be exploring the relationships between perimeter and area; how shapes can have the same area but different perimeters and vice-versa. 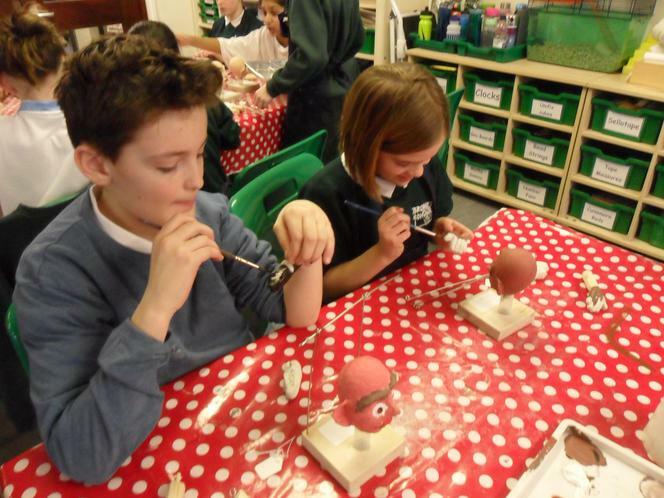 In English we will be continuing to create our own creatures for our version of the Spiderwick Field Guide. Friday 9 February - Bromet Talent Show in school 1.15pm. 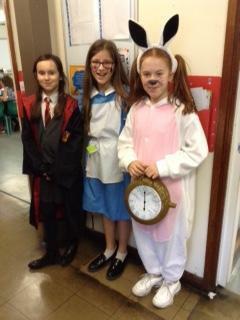 Our class representatives are Eva, Daisy and Nancy; good luck to you all. 12 - 16 February - Half term. Pupil of the week, Henry, for continually working hard whoever he works with, whether in small groups or with individuals. Also Nancy for always making the right choices and having hot chocolate with Mrs Pace. We had an extremely busy week with visitors from Queens' School to see what we do in Science and Maths. They were very impressed with the children's work. 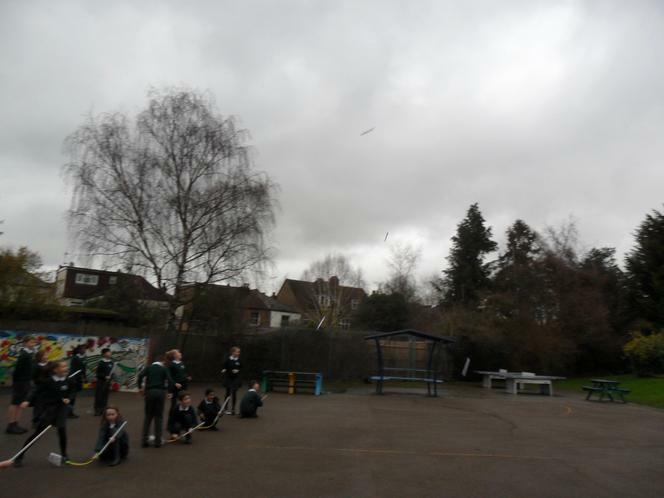 During the science lesson the children made rockets and rocket launchers. One rocket landing on the roof of the shelter in the garden. This week we will be continuing to look at the Spiderwick Field Guide for our English lessons. In maths we will be using short and long multiplication in problem solving. 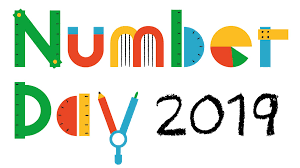 On Wednesday we will be taking part in a workshop from the NSPCC and on Friday we will be collecting money for the NSPCC by dressing up either as a number or wearing clothing with numbers on. Well done everyone for a great assembly, you all spoke clearly to share your great work. 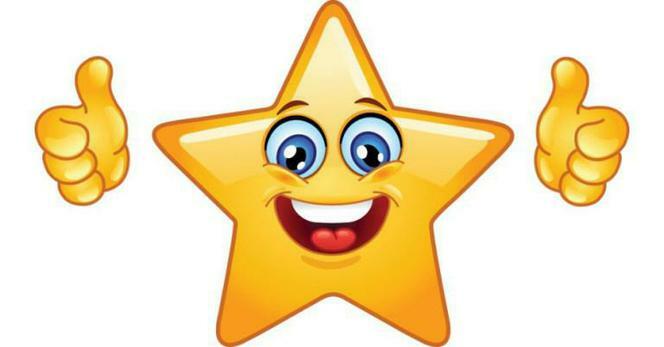 Star of the week, well done Kyra for always working hard in all subjects and always having a smile on her face. Also well done to Alice, who had hot chocolate with Mrs Pace for her positive attitude and being a good role model for others. This week we will be completing SATs practise tests. In Maths we will be comparing short and long division layout. In English we will be continuing to focus our writing, proof reading, editing and the use of subordinate clauses with reference to the mythical creatures from Arthur Spiderwick's Field Guide to the Fantastical World Around You. We will also be having visiting teachers from Queens' School to observe our English, Maths and Science lessons. As the new term begins these are some dates for your diary. Friday 5 January - Non uniform for Eagle class in recognition of highest attendance percentage last term. Theo - Behaviour for learning. Alice - Resilience to learning. Jodi - Excellent Role Model to learning. Parents of the above children welcome to attend. Eagle class assembly 9am. All welcome to come and share the learning we have completed so far this year. Our new members of the class have arrived!!! They are two boys, so names are now required. 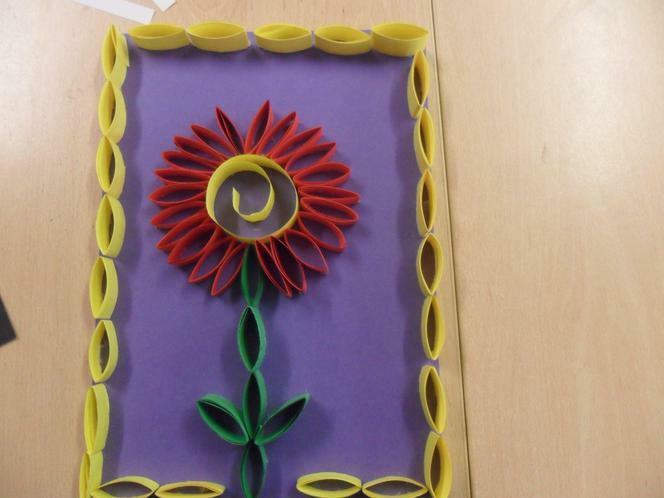 We reached the end of term and the children have worked extremely hard. Over the holidays please keep reading, try some of the activities on Mathletics particularly number, fractions and percentages; you could also try shape, area and perimeter. Friday 5 January is non-uniform for Eagle class for winning the attendance award for the term. This is also the autumn end of term awards assembly 9.00am. 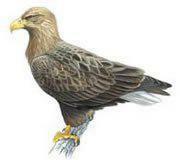 Friday 19 January is Eagle class assembly at 9.00am, you are all welcome. 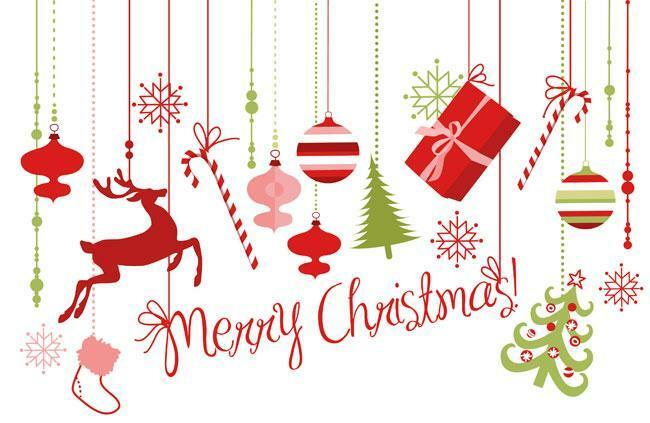 Mrs Lewis and I would like to wish you all a very Happy Christmas and thank you for our lovely cards and gifts. Well done to all those that took part in the Smartie Challenge, we raised £265. 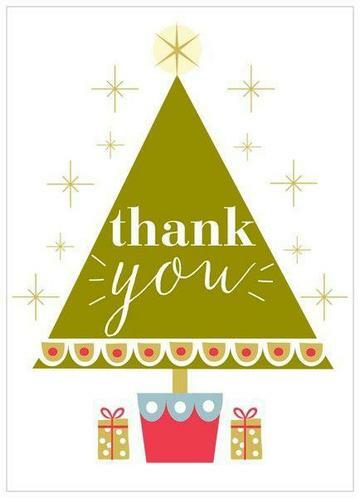 A special thank you to Jaimy who has raised £64 selling sweets and busking at the Christmas fair. All money going towards the cost of the Puppet making. Great work. Enjoy the break and we will see you in the New Year. Well done to Theo, pupil of the week, and also Henry who was chosen to have hot chocolate with Mrs Pace. 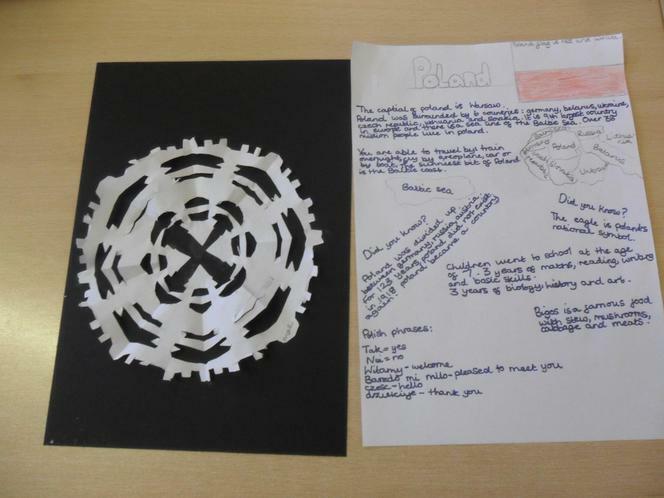 Over the last week the children have completed work focusing on Remembrance, looking at the work of John McCrae who wrote ‘In Flanders Fields’ and also a the words of a ballad by Eric Bogle about a 19 year old soldier called Willie McBride called ‘The Green Fields of France’. 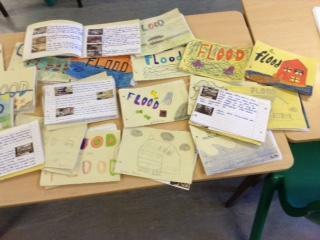 The work was displayed on Friday and have been placed in a book in the classroom. 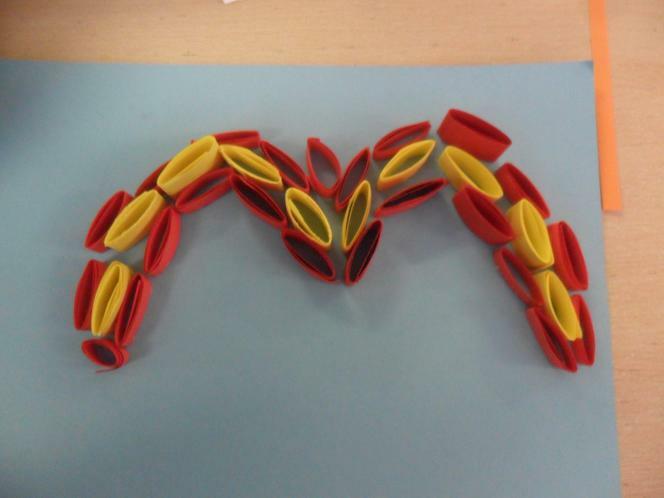 We also made our own poppy of remembrance. his week we will be focusing our work on SATs revision by completing a set of papers. 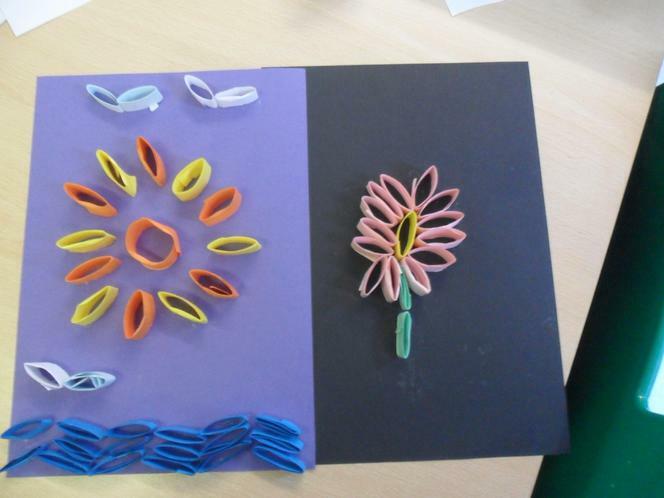 We will also be looking at the work of Children in Need and the diversity of people during Anti-bullying week. 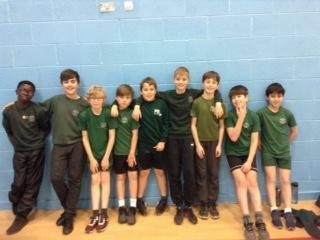 On Tuesday 16 year 6 children will be taking part in a basketball competition at Queens. 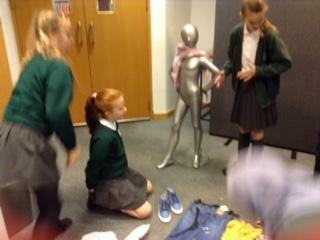 On Tuesday afternoon the class will be completing a drama workshop. Friday is non-uniform day ‘Wear your Spots’ and donate £1 for Children in Need. Don’t forget to book you place on the parent Drug and Alcohol workshop on Wednesday, 6pm to 7.30pm. Book your place through admin@bromet.herts.sch.uk or speaking to Miss Weyer. I hope you have all enjoyed the half term break. This week we will be completing work on ‘Conversation poetry’ in English and in Maths we will be continuing our focus on fractions. On Monday the photographer will be in school to take individual and family photos. On Friday is the PTFA school disco. IMPORTANT DATE – Tuesday 31 is the last date for all secondary school applications, please make sure you do not miss this deadline. Star of the week in Eagle class this week is Jaimy, well done, for being polite and kind, and always on task when completing his work. 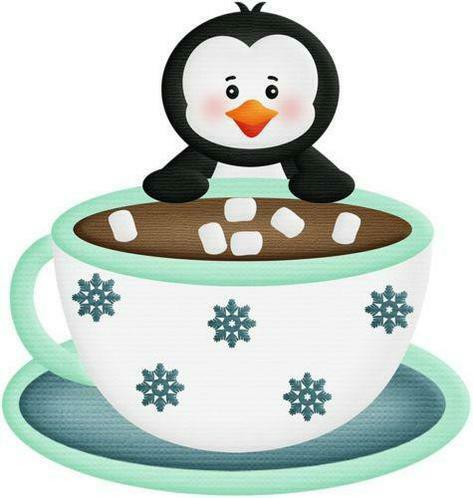 Also this week, we have ‘Hot Chocolate Friday’, one member of the class is chosen to have hot chocolate at break with Mrs Pace (an idea from the School Council) and this week Hana will be having hot chocolate, well done. Please make sure that your secondary applications are completed on time, these need to be submitted before the end of the month, October. Just a reminder that the deposit for the Year 6 PGL School Journey is due by tomorrow, Friday 20 October. If you are experiencing problems with paying online please see the ladies in the office who will help. 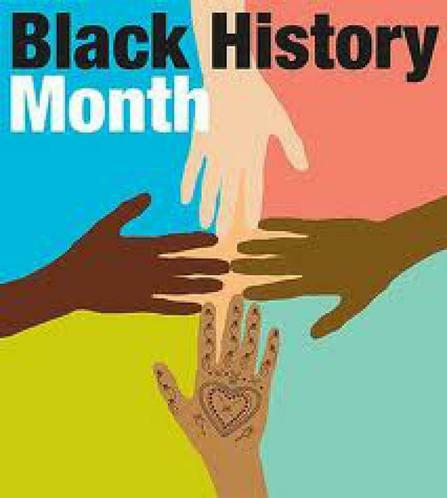 This week we will be completing our creative writing and also our work focusing on Black History Month. Tuesday and Wednesday are parent evening meetings, make sure you allow time to share all the hard work your children have been completing during this half term. 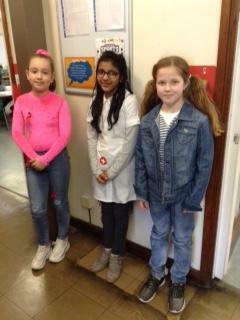 Congratulations to Safa O, Mae and Claudia who have been our stars of the week recently. A reminder that Monday 30 October the school photographer will be taking individual photos. Reminder dates for your diary. Friday 6 October – Sign up for Parent Evenings held on Tuesday 17 from 4.30 – 7pm and Wednesday 18 October 3.30 – 6pm. School photos will be taken on Monday 30 October, the first day after half term. 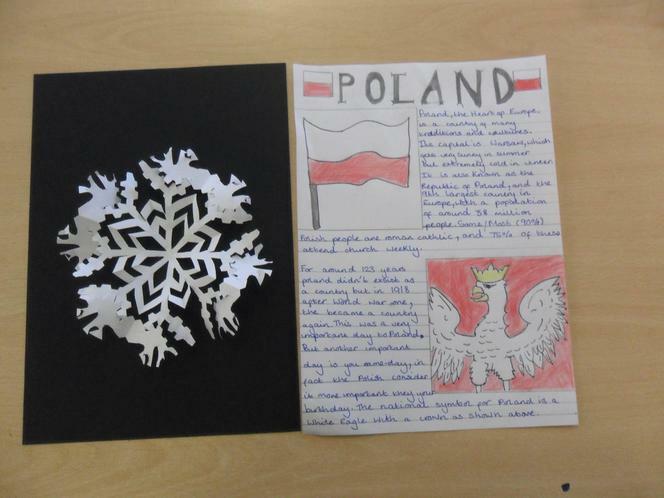 Just a few examples of the work completed so far including some home learning. Yet another busy week. 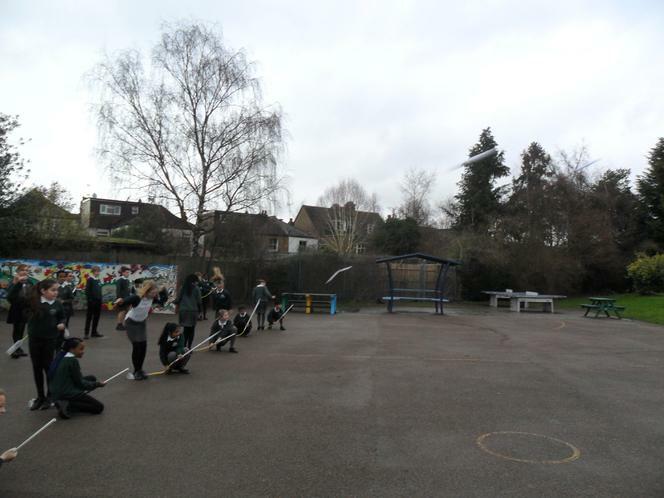 On Tuesday we met with our Reception Buddies to prepare for Sports day, unfortunately the weather beat us on the day. On Friday we were visited by the Peace Hospice bear, Harvey, and were told all about the work of the Peace Hospice. Later Mrs Bastable held our Harvest assembly and spoke about the work of New Hope. Thank you to Theo for taking part, taking on the role of Bert. Thank you to all those who donated to the harvest collection. Well done to Nicole, star of the week, for her descriptive and creative writing. Next week, Friday, is our second church visit, this time to Bushey Baptist. 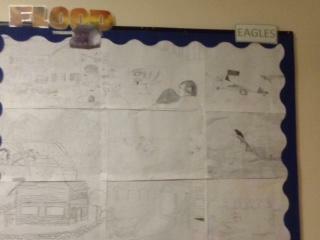 Well we have had another busy week in Eagle Class. First, congratulations to Daisy for ‘Star of the week’ as she continually makes sure that everything is tidied away after every lesson, without being asked. On Friday morning we welcomed the Reception children to the school. Well done to everyone in year 6, you did a fantastic job introducing yourselves and your ‘Buddies’ to the school and parents. In the afternoon we had our trip to St Matthew’s Church as part of out RE studies, thoroughly enjoyed by everyone. A huge ‘Thank You’ to Mrs Bastable for organising this and Father David for allowing us to visit. Thank you also goes to the parents that helped. Our next church visit is on 6 October to Bushey Baptist. Next week is our ‘Book Fair’ week. On Friday we have 2 assemblies. The first is about the work of the Peace Hospice and our second is our Harvest Assembly for which we are collecting food and other donations for the New Hope Trust, please see your separate leaflet for details. Friday afternoon is our sports day, everyone is welcome, and we will be starting at 1.30. Please send in your donations of cakes for the refreshment stall for this event. We had a very good week last week. We spent time with the reception children and we all made ‘Buddies’. This Friday 22nd we will be introducing the children to the rest of the school. Congratulations to Henrick and Ryan for both being Pupil of the Week for their kind nature and perseverance when working with their reception buddies. 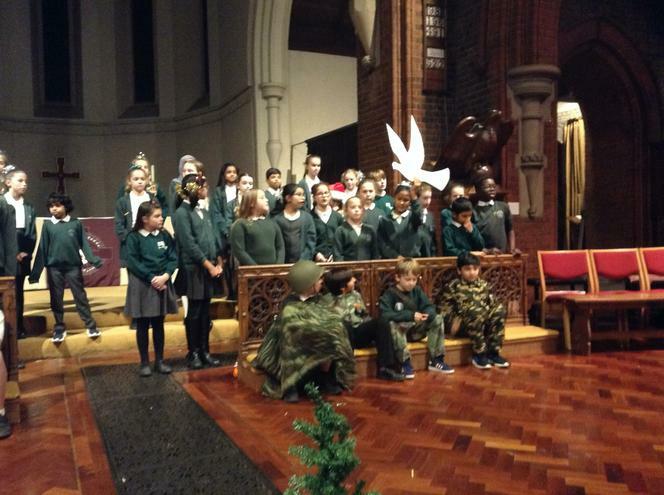 This week on Friday is our first church visit which is at St Matthews, this is part of the RE studies and we thank Mrs Bastable for arranging this. 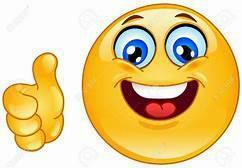 I hope all went well for those who sat the Secondary Transfer test on Saturday. May I remind you that if your child is attending an additional test at a particular school please inform the office of their absence. This week we will be looking at biographies and autobiographies in English and place value in Maths. Well done to Ruby for being our first pupil of the week for helping others in the class. Monday this week is meet the teacher in the classroom from 3.30. Thursday we begin swimming lessons. Always check the blog for weekly updates and important dates to remember. This blog tells you about the term ahead and what your children will be learning. It is extremely important that you child does not miss any time from school. The children will sit their SATs tests on Monday to Thursday the week beginning 14 May. Maths: This term the children will be revising areas of the mathematical curriculum in preparation for the SATs tests. These skills will include place value, short and long multiplication, short and long division, shape and investigation skills. English: We will be developing our writing skills through a variety of genre including: fiction – story writing; persuasive – letter writing, this will also include editing and redrafting their writing. We will be improving our speaking and listening skills through discussions, small group work and presentations. Science: We will cover Earth and Space and Forces including revision of other topics, including planning, preparing and conducting experiments. This includes using scientific terms and making a hypothesis. 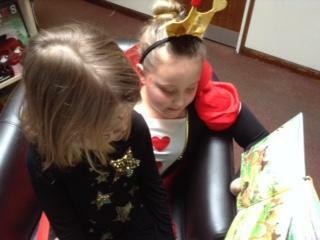 Jigsaw PSHE: All Jigsaw lessons are delivered in an age-and stage-appropriate way so that they meet children’s needs. Being Me in My World has a wide focus, looking at helping others to feel welcome, discussing ways to make the school community a better place. We will also explore how everyone has a right to learn and the reward and consequences that go along with that. 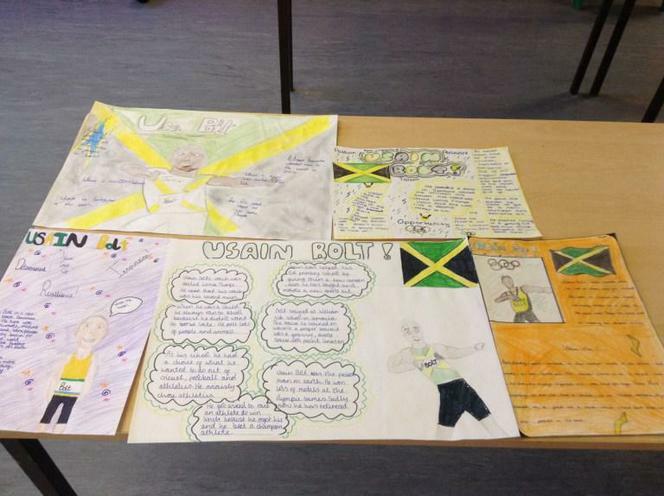 This will culminate in creating a class Learning Charter. All Jigsaw lessons are delivered in an age- and stage-appropriate way so that they meet children’s needs. Celebrating Difference: This will link with Anti Bullying week in November. We will discuss how everyone is different but we can include everyone when working and playing. We will also explore how we can start to solve problems, leading onto receiving and giving compliments. Computing: Through all our work we will be continuing to embed the importance of E-Safety. We will be focusing on understanding the need to develop safe, respectful and responsible use of online technologies. We will investigate copyright conditions for materials, privacy settings and restrictions for age before signing up to a site. We will also discuss how and why location services are used. PE: We will be developing our swimming skills during the term, attending Central Sports centre. Design Technology: This will focus working with materials, cutting, pinning and hand stitching to create a textile in the style of the Bayeux Tapestry. 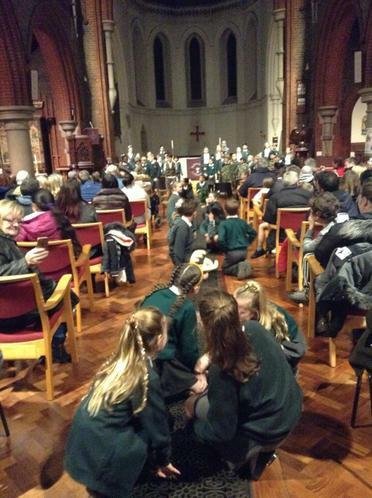 Music: The children will explore rhythm, pulse by listening to music throughout the decades from the 1940’s..
RE: This will continue to be taught by Mrs Bastable and will cover Christianity including comparing the features of Christian churches within the Watford area. History and Geography: The children will be looking at the development and growth of North America and Canada including the physical features of the area. MFL: This will continue to be taught by Mme Lawson and this term will focus on Spanish talking about themselves, pets, colours and hobbies. Work will also include the days, weeks, months and dates, and at the end of term focusing on Christmas. I hope you have had a great summer break and you are refreshed and ready to start on Tuesday. The first date for your diary this year is the meet the teacher meeting on Monday 11 September at 3.30pm in Eagle classroom. As part of our PE lessons this term we will be swimming on Thursday afternoons. One final reminder, please remember to bring in your Autobiographies, as this is our first English unit of learning.